Pilbara Minerals Ltd. (ASX:PLS) announced that it has entered into a mine gate sale agreement with Atlas Iron Ltd. (ASX:AGO). Under the agreement, Pilbara will supply Atlas with direct-shipping ore from its Western Australia-based Pilgangoora lithium-tantalum project. 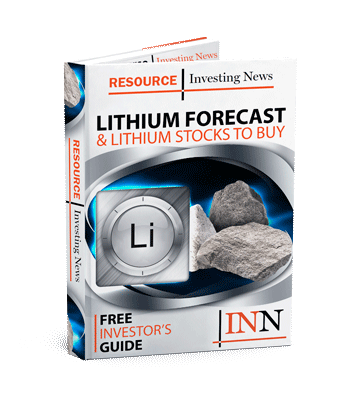 Mine Gate Sale Agreement finalised with Pilbara iron ore miner Atlas Iron (ASX: AGO) encompasses proposed sale of a minimum 1.0Mt of run-of-mine lithium-tantalum ore from the Pilgangoora Project. Atlas will utilise its existing processing infrastructure and logistics chain in the Pilbara to crush the ROM material and supply it as Direct Shipping Ore (DSO) to the final customer. MoU executed with Sinosteel Australia Pty Ltd contemplates offtake for up to 1.5Mt under an agreement to be entered into between Atlas and Sinosteel. Mine gate sale pricing is underpinned by an attractive US$ fixed base price per wet metric tonne to Pilbara, subject to adjustments in respect of material specifications and final shipping costs. A USD$3M prepayment facility (“Mine Gate Commitment”) is a pre-condition to the commencement of DSO sales to Atlas. The innovative arrangement, which is targeted to commence in March 2018, will allow Pilbara to generate upfront revenue and operating cash-flow while it commences the commissioning and ramp-up of the Pilgangoora Stage 1 Project in Q2 next year, with concentrate exports to follow shortly thereafter. From Pilbara’s perspective, this is an opportunity to generate upfront revenue and cash-flow in the early stages of commissioning and ramp-up of the Pilgangoora Project, without detracting from our core focus on building a longterm spodumene concentrate business. The ability to generate early cash-flow is a significant bonus for any resource company in the commissioning and ramp-up phase, and this arrangement with Atlas allows us to leverage off Atlas’ established infrastructure and logistics chain to do so with minimal additional capital outlay. Click here to read the full Pilbara Minerals Ltd. (ASX:PLS) press release.